I’ve been on a new contract and we are using TFVC here. It’s a decent tool (used to be THE tool and was much better then SourceSafe before that) for version control (you’re doing version control, right??!! ), but I’ve found myself saying “Git is so much better” out loud. I do really miss Git, but I need to be careful in presenting change (I don’t want to cause angst or feelings that things can’t be changed in the developers current company. I want to provide a view of what I and others at Omnitech have experienced as good and helpful to the development process). The following are some reasons I’ve thought of, with help from my co-workers on MS Teams, on why a team might go through the disruption of changing version control, training, learning, questions and updating builds. Will it really help and increase our productivity and developer happiness over the long run? I was a part of a different company that went through a TFVC to Git transitions a few years back. It took me a few months to get comfortable, so I’m aware of the learning curve. We definitely relied on our Git guru to fix our branch messes, but after a few weeks we all adapted well. Some of this is in contrast to TFVC. policies on PRs that require tests to pass, approvals, etc. What if TFS goes down or is unavailable? when working outside of VS (think VS Code or Notepad++) have to find in Source Control explorer, then right click check out for edit. I spend a lot of time in the Source Control Explorer and clicking through folders to find my file. When I need to merge to QA or RC (we can’t all live in the TBD world, though we’re trying to get there) I have to suspend work, merge, check in, suspend and delete that after the Gated build finishes. It’s hard to do other work in the middle. The merge window from branch to branch sometimes takes 30+ seconds to load up when choosing selected Changesets. The merged changesets don’t always disappear from the merge window after being merged. Resuming suspended work timed out on me today… stuck in the loading state in VS. I’m going to have to kill VS.
Open the solution before connecting to the VPN, then I get prompted to Go Online. It’s not easy to see changes or got back for long lived feature work. I almost lost a day of work when I was switching between shelveset with the Suspend and Resume work (too much context switching), but my files disappeared at one point. Thankfully, I was running a local git repo and was able to revert the commit where it disappeared. It had occurred when I got latest. It promotes long lived, large change-sets as the normal process. Each branch requires a new folder structure and full copy of the code. Branches are complete copies and you have to remember which folder on disk you are on. Have you ever started coding and realized you’re in the wrong place? It is way better then SourceSafe was. The Suspended work is a nice feature. Donovan Brown does a great job presenting DevOps and happens to work at Microsoft. The Azure DevOps tools are really good and the team there has made the transitions themselves. In August 2018, Donovan tweeted. "Don't move to Git because others have. Move if it addresses a problem you are having. If not @VSTS has your back with TFVC." @TfsBuck is another good source for a Microsoft Azure DevOps engineer. Donovan did an interview/conversation about Git in May 11, 2018 at Build. Now that you’re convinced you want to use Git (you are convinced aren’t you?) and that it’s good for your team, how do you move towards it? You need 1 or 2 people that are Git experts ready to help others when they make a mess of their branch. Identify that person(s). Do you need to dig in and learn before introducing to your team? The rest need to know how to do the basic steps either in Visual Studio or GitHub Client or in the command line (see my article Some Git Help for 5 easy command line steps to getting latest into your branches). You can start using Git, while still using TFVC. It’s a great way to practice and to get used to creating small commmits. It also gives you a way to look through your personal history and revert/go back if you decide to undo in the future. It also gives you a back up in case you loose something with suspending and resuming (like I did last week). 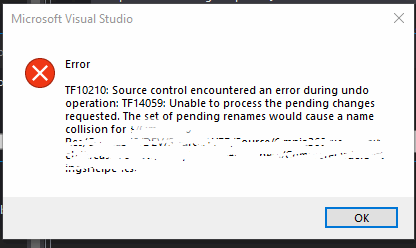 Visual Studio gets a little confused, but I’ve had good success using the Github client. Remember to still create some shelve-sets so you get a code backup on the TFS server and to make sure you have all the files marked as “add”. All you have to do is go to the root directory in the command line and type git init, git add ., git commit -m "initial". You’ll probably want a .gitignore file first. You need to be able to be the champion for change. This includes sharing stories (like mine and others), videos, articles and showing what you’ve learned. Have some lunch and learns, show off how to use git and a Pull Request in GitHub or Azure DevOps, start a book club (the Pro Git book is free!!). This may take some time. Emphasize small local git commits and good Git practices. Talk about the way you want to do at your company. Do you have a multiple branching code for change isolation? Talk about how to do that now in Git. Maybe this is even an opportunity to start the transition to Trunk Based Development, but don’t take on too much at once. The move to Git will be disruptive enough. Make sure most are on board and be ready to help those who need help! Now that people are aware of it, it’s time to see if you’re team is ready. Talk to your team and your manager about how to get the priority to introduce this change and possible interruptions. I’m thinking about Azure DevOps pipelines as I write this. Will you try it with a pilot project or go all out across the whole company? Will you go with one big repository or several small ones? Think about how your teams are organized. Do you have custom powershell tasks for versioning, etc that check things into source? Migrating the source code from TFVC to Git. History, do you need it all? What policies do you want to add to your Pull Request to improve quality? You have a GCI build already, right?? 1 or more approvers? Someone from a specific group? Can you approve your own changes? Plan for time for the “expert” to help with others changes. my article Some Git Help for more help working with Git and links. Do you have an argument not to move from TFVC that I didn’t think of? The title feels like a high school cheer chant. It reminds me of marching band, “I’ve got spirit how about you?” that we’d yell to the other schools.